Manchester United must sign a goalscorer as well as replacements for injured duo Darren Fletcher and Nemanja Vidic, says ex-United star Paul Ince. Midfielder Fletcher has been ruled out indefinitely through illness while defender Vidic will not play again this season with a knee injury. But Ince thinks they also need a new striker to support Wayne Rooney. "There is a lot of pressure on Rooney and we saw what that did to him in the World Cup," Ince told BBC Sport. "If you are going to compete with the likes of Manchester City and Chelsea you need someone who is going to score you 20 goals a season and you can't just rely on Wayne Rooney to do it year in and year out. "Nani has chipped in and Ashley Young was flying early on, but they have quietened down form-wise, so you wonder where the goals are going to come from. "[Dimitar] Berbatov's not playing enough, Michael Owen is out injured again and Danny Welbeck is still a young lad but he will chip in with goals." Javier Hernandez, who scored 20 goals for United last season and has notched six in this campaign, is currently out injured for several weeks after damaging ankle ligaments against Aston Villa on 3 December. Fletcher is taking an extended break after the club revealed he was suffering from ulcerative colitis and Ince, who spent five years at Old Trafford, believes his old boss Sir Alex Ferguson will be eyeing more than one midfielder. "Darren Fletcher over the years has been that engine room, his energy levels are incredible so to hear the news that he's going to be out for a while is very sad," said former England midfielder Ince. 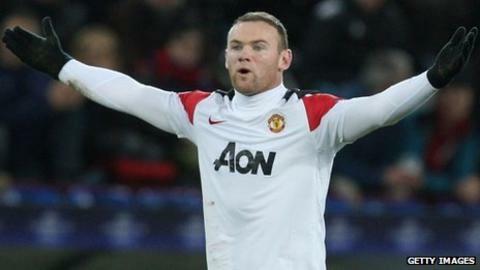 "But I feel they need that creativity in midfield, losing Scholesy [the retired Paul Scholes] was a big loss obviously. "You're not going to get players like Roy Keane or Bryan Robson, those players aren't around anymore. The 27-year-old midfield man's career now takes second place to his rehabilitation, but his absence is a blow to both United - whose midfield resources are already stretched - and Scotland. "The game has changed since then and you don't get those type of characters, so he's got to look at another way of controlling the midfield and I think that can come from creativity in someone like Luka Modric or Andres Iniesta, they are the players I would be looking at if I was Sir Alex Ferguson. "I'm sure Sir Alex will take stock and he'll be looking at what type of player he will need in January and it won't just be in midfield, I'm sure he's looking at a centre-half with Vidic being out. "But I'm sure he knows what to do, there's no point me telling him what to do because he's the greatest manager I've ever played under." Listen to more of Paul Ince's comments by downloading the daily 5 live Football Daily podcast. The former Manchester United midfielder was joined in the Radio 5 live Sport studio on Tuesday by former Tottenham manager David Pleat and journalist Neil Custis.